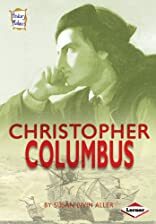 Christopher Columbus was written by Susan Bivin Aller. Christopher Columbus was published by Lerner Publishing Group. About Susan Bivin Aller (Author) : Susan Bivin Aller is a published author of children's books and young adult books.